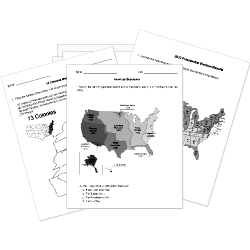 You can create printable tests and worksheets from these Grade 4 Ancient History questions! Select one or more questions using the checkboxes above each question. Then click the add selected questions to a test button before moving to another page. What was the Wonder of the World located in Alexandria? Alexander the Great founded over cities. What is the Greek name for the Goddess of Marriage? Who is the Roman King of the Gods? What is the Roman name for Demeter? What do archaeologists study to learn about ancient people? How many colonies did the Greeks set up? The Nile is in Africa . Farmers liked when it flooded because it watered their land . By studying the in coprolites, archaeologists can tell what time of the year people lived in the rock shelters. Archaeologists discovered they could study the archaic diet by examining . An archaeologist studies artifacts and sites to learn about ancient people. The Phoenicians used to make their special dye. What was the color of the Phoenicians' famous dye? The Hippocratic Oath that doctor's take today originated with Imhotep, who held several titles including that of physician.